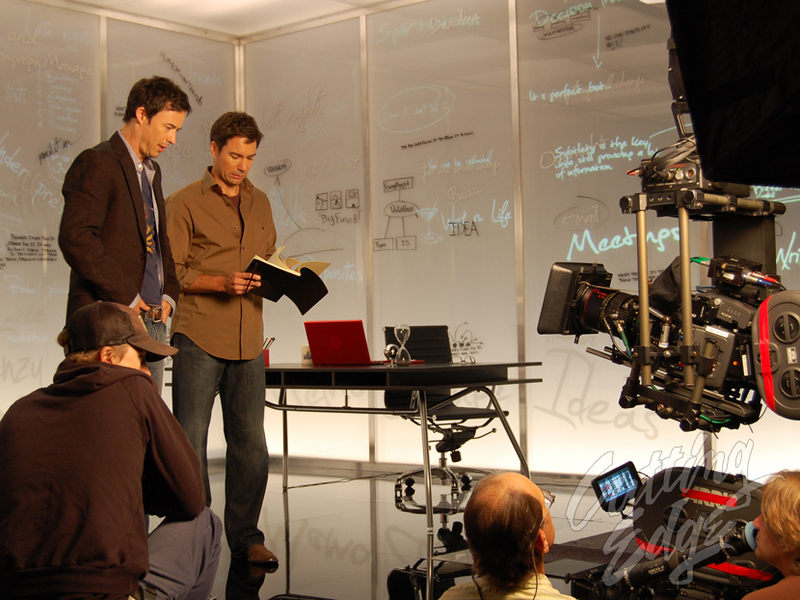 Working in a soundstage environment allows us to utilize our skills with rear projection or rear screen projection as it is referred to both ways. 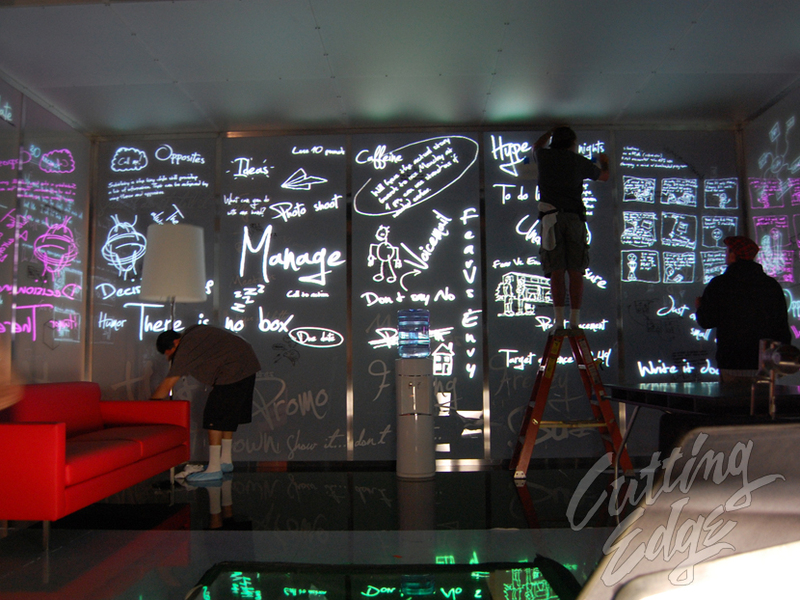 In this application we did rear-projection directly onto frosted plexiglass, and the projected words would appear and disappear with the script. The projected words came from four laptop computers synced together.